Heidi brings over 18 years of international health experience in public, private, and not-for-profit environments in Australia, the UK and the Middle East. She has a thoughtful and evidence-based method to problem-solving, and a collaborative approach to stakeholder engagement. She has particular expertise in public health strategy and policy, translational research, cancer control, and patient experience. Heidi has also worked on organisation cultural change projects to build leadership and capability in government and private organisations. Oversaw national Indigenous and rural cancer control portfolio programs for the Australian Government; including health services research, quality improvement programs, demonstration projects, trials of new models of care, and resources for professionals and consumers. Prior to joining Nous, Heidi worked on health care projects and health consulting in the Middle East, including for the Cleveland Clinic in Abu Dhabi. She worked for a decade in Australian cancer control, including overseeing national cancer control programs. And she worked for the UK’s healthcare regulator on improvement and compliance projects in the National Health Service and private sectors. 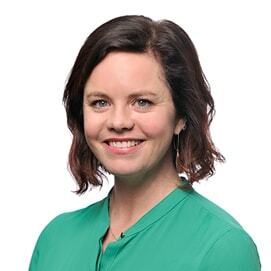 Heidi has a Master of Public Health (Global Health Policy) from The University of Sydney, and a Graduate Diploma in Applied Psychology (Health Psychology) and a Bachelor of Arts (Psychology and Sociology) from The University of Wollongong. Heidi enjoys spending time on art and design, mostly ceramics; and recharges through films, music, yoga and coffee. She enjoys visiting new countries to explore different environments, cultures and food.